There are many sources where aquamarine is mined; most notable are Brazil, Nigeria, Zambia, Madagascar, Mozambique, Afghanistan, and Pakistan. Aquamarine with a highly saturated blue color has been discovered at the Santa Maria de Itabira mine in Brazil and is known by its trade name “Santa Maria aquamarine”. The more intense the blue hue is, the more valuable the stone. 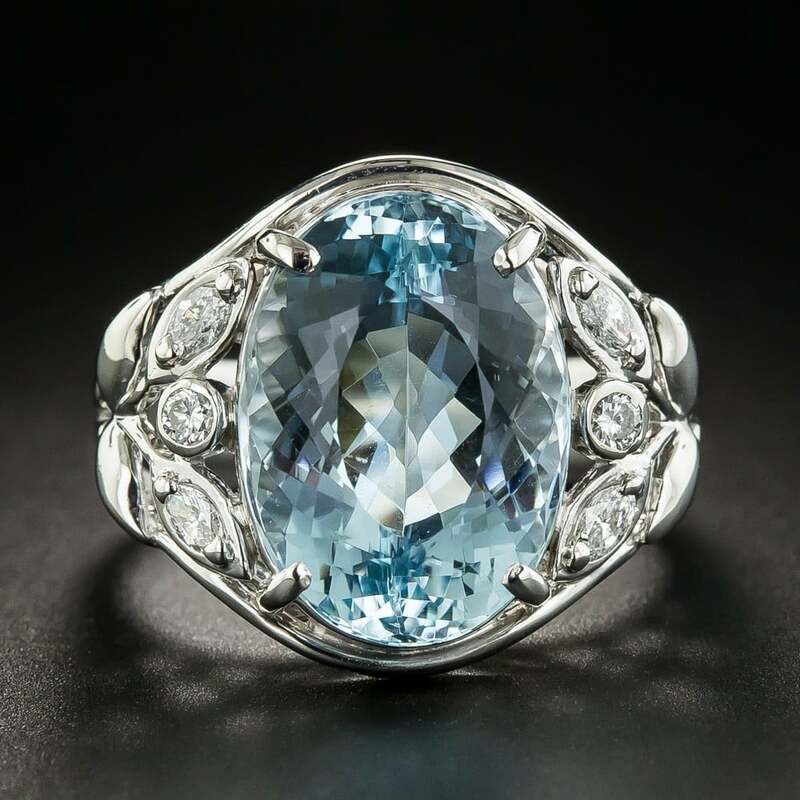 To remove the less desirable green component of an aquamarine, it is routinely heat treated to around 800 degrees Fahrenheit (ca. 425 degrees C.) leaving only a stable blue cast. Although we usually associate the blue variety of beryl only with aquamarine, there are a few other blue beryls. A very rare variety has been found in Canada possessing a dark blue color due to very high concentrations of ferrous iron and from Brazil comes a rare and spectacular blue beryl, named maxixe, although the color of this gemstone is not stable in daylight. Aquamarine comes in all sizes and large stones are readily available. With some exceptions, aquamarine is one of the more affordable of the top ranked gemstones. A 243 pound (110 kg.) rough crystal was found in 1920 in Brazil and sold for only $25,000. Mrs. Franklin Roosevelt was presented with a 1,847 carat aquamarine by the Brazilian government in 1935; the stone is now on display in the Hyde Park Museum, New York city. 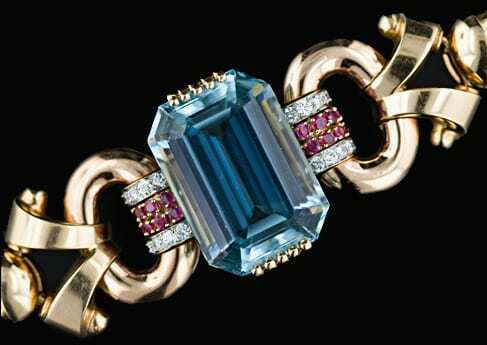 Ancient Greeks and Romans attributed great powers to aquamarine as an amulet. It was not only regarded as a symbol of eternal youth and happiness but when engraved with a depiction of Poseidon on his chariot, sailors believed they were made invincible to the perils of the sea, making them fearless and courageous. Aquamarine is the birthstone for March and the 19th year anniversary gift.